One of the most difficult things about changing your lifestyle and your diet is dealing with temptations on a regular basis and sticking to your decisions day after day. The keto diet is quite restrictive, and in the beginning, it has a steep learning curve. If your family isn’t keto, things might be somewhat trickier for you to figure out, especially if you’re cooking some or most of the meals of your family. There are a few ways to deal with that, and you might want to try them all out, to see which one works for you. So, how do you stay keto if your family isn’t on board? How should you approach the matter? Read on to find out what are our tips for success, as well as 3 different strategies you might want to try out. Changing your lifestyle is a big deal, and your family can make everything much easier (or much harder) for you. Make sure you discuss your choices with them and be open about the reasons why you want to make them. Be open and let them know their opinion is important for you, but that your health needs to be your priority. Being healthy and strong and taking responsibility for your health is one of the most valuable and significant things you can do for you and for everyone around you. Discuss it together and find ways to make it work by involving them in the decision-making process. If you’re going to do keto, make sure you explain to them the specifics of this diet and why you’d need to cook and track everything in order to be successful. 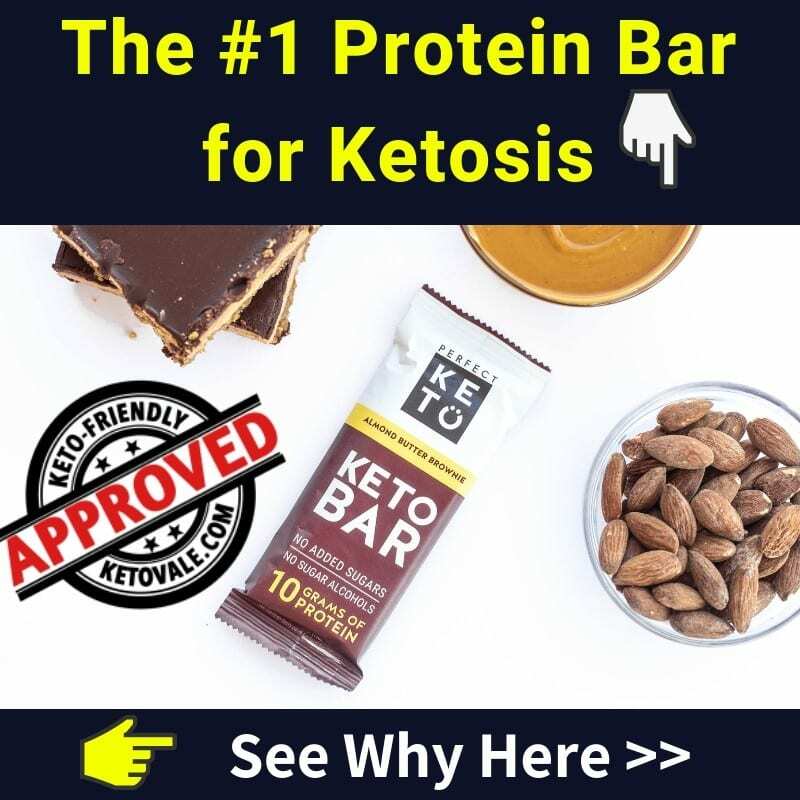 Many people have a very wrong idea about what keto is and believe ketosis is dangerous and unsustainable (hint: it isn’t either) so you might need to address their concerns, too. Share with them the information you have, and answer all of their questions. Remember: if you have spent some time reading about keto, you know much more about it than they do, so it’s only natural that they have some misconceptions and myths about keto that you’d need to address. In most cases, your family is your first line of support, and you need them the most when you’re making important changes. If you have discussed everything with them, they’d be much more willing to support you – that’s why the first step (above) is so important. Building healthy habits takes a while, so it will be much easier to do if you have the support of your loved ones. Let them know (preferably in advance) that comments such as “Come on, it’s only one cookie/slice of pizza/piece of cake” or “I can have carbs and I’m doing fine, why should you restrict everything?”, “You have already lost plenty of weight, live a little!” won’t be helpful, even if they’re made with good intentions – and explain why. Going low-carb or keto is a personal choice and you shouldn’t be forcing it on others. 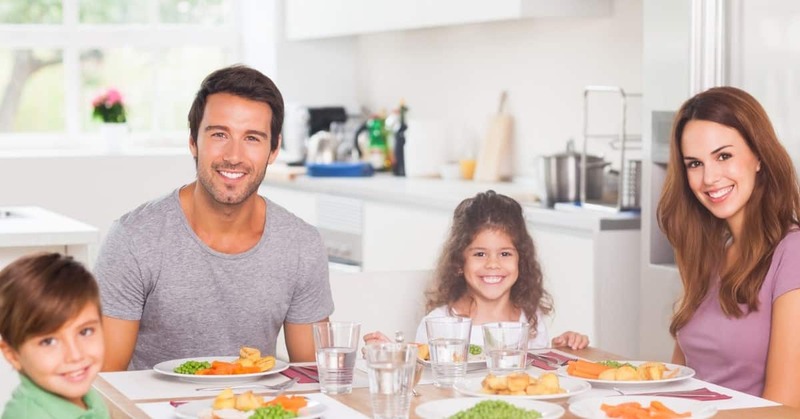 Of course, you can explain it to them, discuss the health benefits and the reasons why you want to do it, but you still need to accept that while your family might want to follow, they might as well prefer to continue eating their usual foods. That being said, you could agree to have low-carb meals at home and that they will have their carbs when they eat outside, or that the meals would be low-carb but that you could still cook side dishes that are higher in carbs. Be prepared that they might resist change, and be flexible and open. Agree to disagree on some things, and find solutions together. 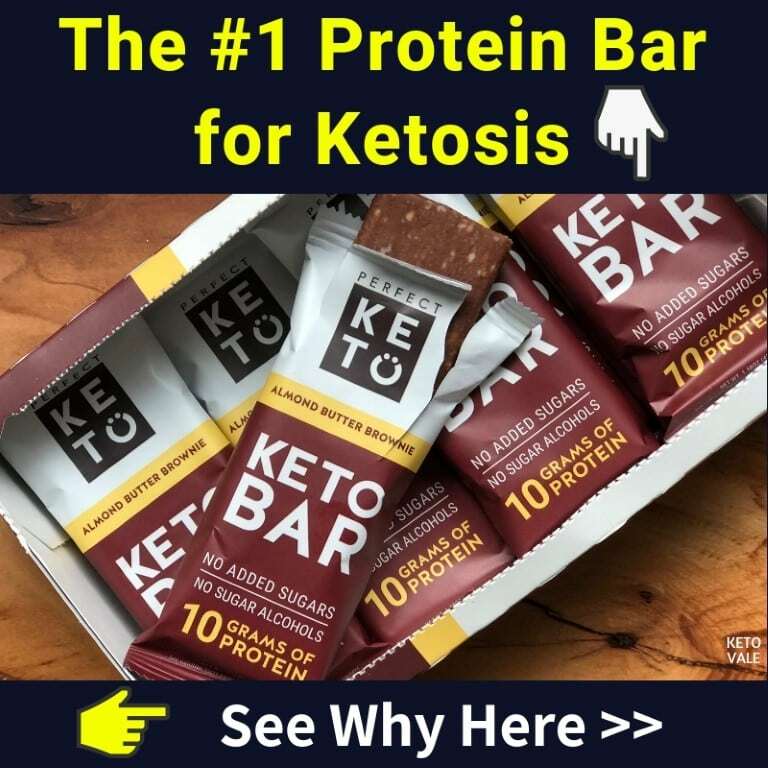 You will have to deal with temptation from time to time if you’re living with other people who aren’t doing keto – there’s no way around that. Set strict rules for yourself and stick to your ketogenic plan. If you have taken a solid decision, it’s much easier to stay on course, rather than rely on sheer willpower each time someone around you is having a cookie. Concentrate on all the awesome, healthy low-carb foods you choose to have instead of on the things you cannot have. Make it about choices and not about limitations (“I choose to have a healthy, low-carb dinner” ; “I choose not to have pizza” instead of “I cannot have pizza”). Planning ahead is essential when doing keto, and even more so when you have a family to take care of. If you struggle to find enough time to cook and to stay consistent with your macros day after day, meal prepping can be a game changer. Get the whole family involved and make it a fun activity where you spend time together. If meal prepping sounds too complicated for the moment, you can start with planning your meals 2-3 days ahead of time, in order to make sure you have all the products you need, and that the food you eat fits your goals well. 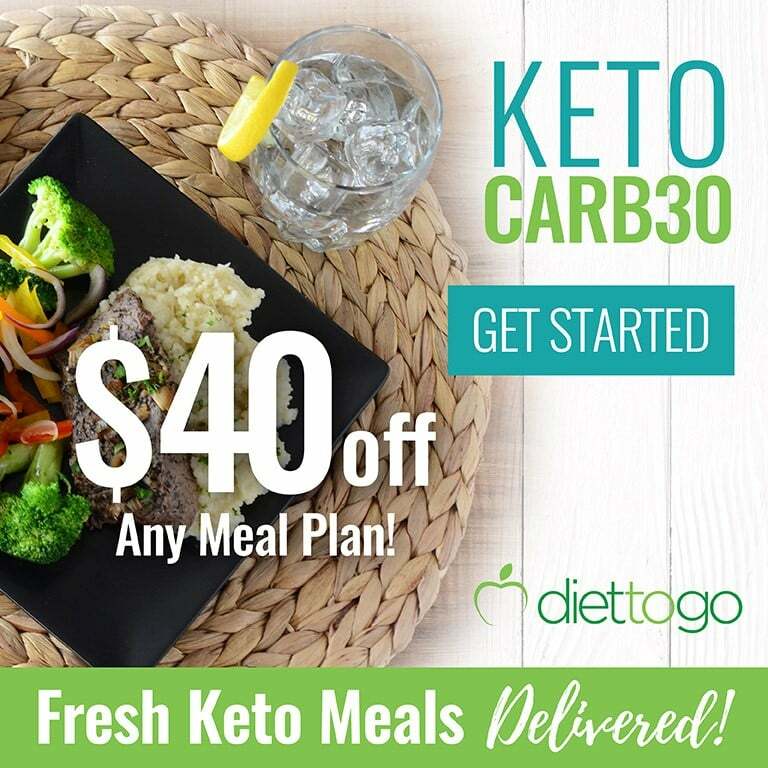 If your budget allows, you might want to try a keto meal delivery service for yourself, and you only need to cook non-keto meals for your family, just to reduce the stress of having to cook two separate types of meals. Managing life between having a job, taking care of a family, losing weight and taking proper care of your health is not easy. Nevertheless, if you plan ahead of time, you will soon master the art of low-carb dieting, and won’t need to make excuses in order to make yourself feel better about the mistakes you occasionally make. Because mistakes will happen. Acknowledge and accept the fact that it’s only natural to make them, and that every change takes time (you didn’t gain the weight you want to lose now in two weeks, you’re not going to lose it in two weeks either), forgive yourself and move on. Don’t spend any more time dwelling on the reasons why you made a mistake, and don’t punish yourself, either. Ask your family to help you stay on track and keep you accountable. 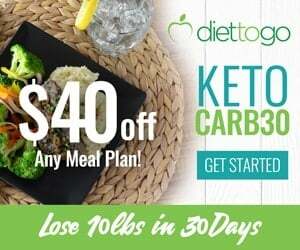 Had a non-keto meal? Forgive yourself and make sure the next meal is keto. Don’t let a cheat meal transform into a cheat day or week. Going to a restaurant with your family doesn’t have to mean that you cheat on your diet. Instead, come prepared by checking the menu in advance, and have a plan about the food you’ll eat. If you notice that a restaurant doesn’t have any low-carb options (f.e. pizza places could be tricky), decide together on a place that everybody will be happy with. Most restaurants will be able to accommodate your diet, you just need to communicate your requirements to your waiter in a clear and polite manner. At most places, you’ll be able to have some sort of meat that can be served either with a salad (ask to have the dressing on the side) or a side of low-carb veggies. If your family decide to eat at a fast food chain, make sure you look at the restaurant ‘s menu online to see what the low-carb options are. Alternatively, you can check our low-carb fast food guide. Not keeping tons of unhealthy snacks around the house will be beneficial for everyone. Limit all sorts of packaged foods, such as chips and sweets, and substitute them with simple low-carb snacks that require minimal to no preparation. If you’re lacking inspiration, check these low-carb snack ideas. Like this, you won’t have to fight temptation all the time, and your whole family will be eating healthier. When it comes to fruits, you can buy keto-friendly fruits for yourself and other fruits your family wants for them. If your spouse wants to have a drink, you can also enjoy a small glass of low-carb wine. Just make sure that you don’t overindulge because alcohol in general isn’t recommended on keto. 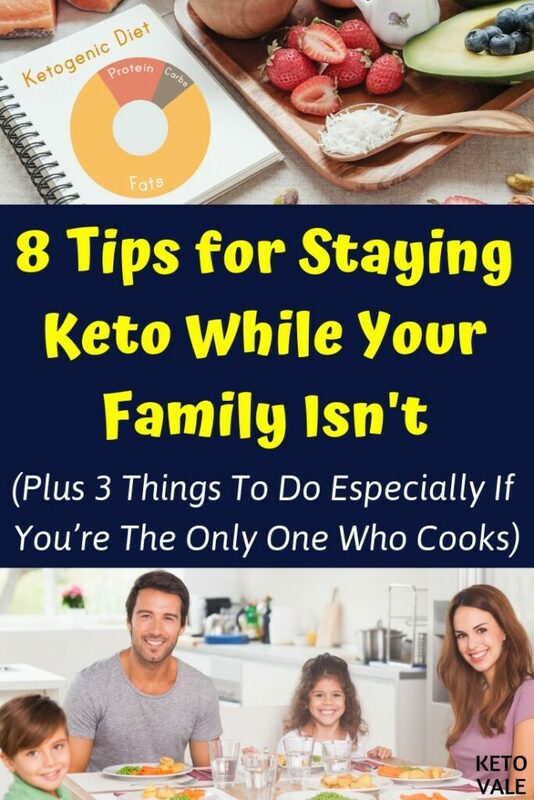 Now that we discussed some simple strategies you could implement in order to succeed with staying keto while your family isn’t. Let’s see what the different options are if you’re the one who’s preparing the meals. You’d need to decide on a way to handle food preparation in a way that would be efficient and that everyone will agree on. If you need help with cooking, now that you’re eating low-carb / keto, don’t be afraid to ask your family to participate. Choose a protein source (meat, eggs, fish…) that everyone likes – this will be the base. After that, have a variety of sides – a low-carb one for yourself, and something heavier in carbs for the rest of your family. Although it might sound complicated, meal prepping can make things much easier. For example, you and your family can prepare the side dishes for the week on Sunday afternoon. Like this, you’d just have to cook the meat every day, or every other day (as meat generally cannot be stored for more than 2-3 days anyway). You could as well ask your family to cook their sides, or that you cook all the side dishes together – it will make it easier for you and it could be a fun family activity, too. Remember that the sides don’t have to be complicated – they could be as easy as cooked rice (for them) and a sliced cucumber or some mashed cauliflower (for yourself). You all get to eat healthy food with just a few modifications for everyone. The rest of your family still gets to enjoy their carbs, while you continue to eat keto. The flexibility and simplicity of this method make it easier than the others. If you do meal prepping, this method can be very time- and cost-efficient. You’ll need to stick to eating low-carb while the others get to enjoy their high-carb sides. 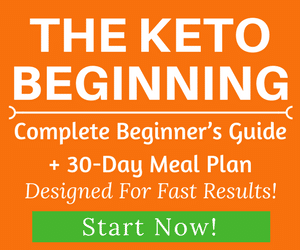 Once you get fat adapted and experience the many benefits of the keto diet, this will be much easier, but in the beginning, you might struggle with it. The second way to stay keto is to simply only cook keto meals and not keep any non-keto snacks and foods at home. Like this, you’d simply stick to low-carb dinners and not have to prepare more than one dish at a time, and won’t have to think about a variety of sides. This method is somewhat more extreme, and your family might not be overly happy about it. You need to communicate with them why you’re doing that and how important their help and support is for you. This method is the most time-efficient for you, and the rest of your family can still eat non-keto meals outside. Given that the keto diet consists mostly of whole, natural foods, your family will still be eating a varied and healthy diet. This might provoke some friction and disagreements with your family, so you’d need to make sure they understand you and support you before you make such important changes, and also before you throw out any non-compliant food. If the rest of your family is eating high-carb dishes outside, what they’re eating at home shouldn’t be too heavy on the fat. Having a high-carb, high-fat diet is generally a bad idea and might lead to health problems, especially if it’s too heavy on the calories. You could solve this by cooking with little fat and giving them the leaner cuts of meat, while you eat the fattier cuts and add fat to your food, as necessary. If you decide to use this method, you’ll essentially be cooking 2 meals each time. This method is the most demanding one, and you’ll likely not want to do it for long periods. If your family is absolutely anti-keto, this might be a necessary compromise from time to time. Regardless, we advise you to discuss it with them and try to find solutions together, and eventually to get them involved to help you. If you meal prep ahead of time (by cooking 2-3 separate meals), you could make this method work, but it’s still difficult. Everyone gets to eat the meals they like. Very time-consuming and inefficient for the person who prepares the meals. Might be the source of disputes and friction, especially if cooking leaves you with less time for yourself and other activities. These three methods are just some ideas for you to try out – don’t be afraid to mix things up and to experiment with different strategies. 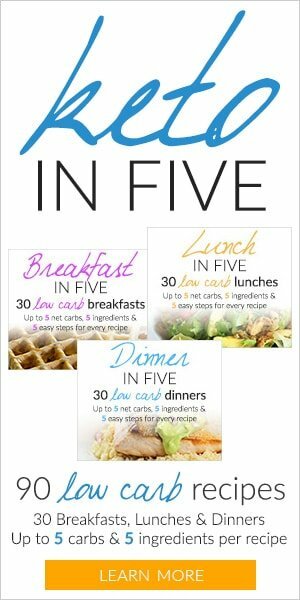 Find out what works for you and your family, and make sure to communicate with them in an open and clear manner why you’re doing this diet and why it’s important for you to succeed. Given that the keto diet is one of the more restrictive diets out there, it does take effort to stay committed to it and follow it strictly, especially if the rest of your family doesn’t want to. Nevertheless, you could still organize everything in a way that everyone gets to eat the food they enjoy and that you stay on track. Don’t be shy to ask your family for support and explain to them why you’ve chosen this diet in particular and how they could help you achieve your goals. Don’t let everyday life derail you – your health is just as important as everyone else’s, and having enough time for yourself is an important component of happiness. What is your experience with staying low-carb or keto in a non-keto family? What are the main difficulties you’re facing? What are the solutions you’ve found?